Eric writes: While driving from Indiana to Arizona, I had a few days to spend in Texas. Besides all of the great birds there are in Texas, I had three main targets: a Ruff in east Texas, a Striped Sparrow in central Texas, and a Common Crane in west Texas. I started out by picking up some pine species in east Texas, such as Red-cockaded Woodpecker and Bachman's Sparrow before heading for the Ruff. 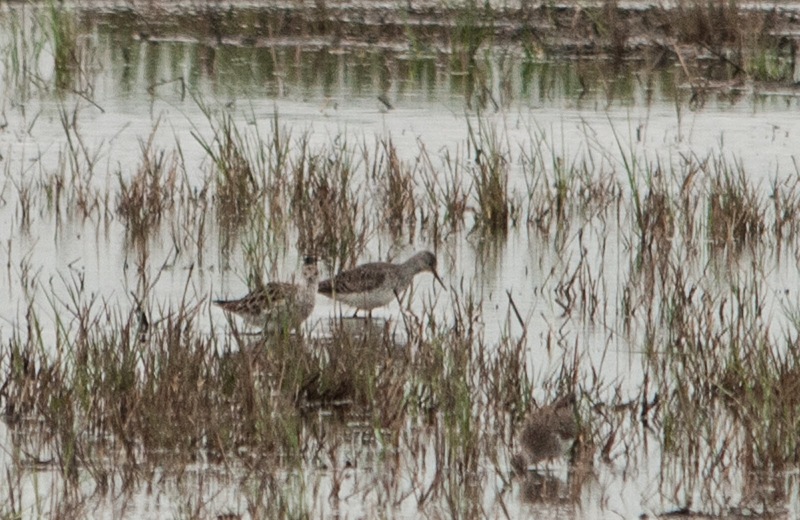 The Ruff had been found a few days before at Anahuac NWR but there hadn't been many positive or negative reports since then. After a few hours of searching on the first afternoon, my hopes weren't too high. I headed back to the same spot the next morning and again had no luck. The third time was the charm, after scanning for about 20 minutes I finally spotted the bird and had some great looks. 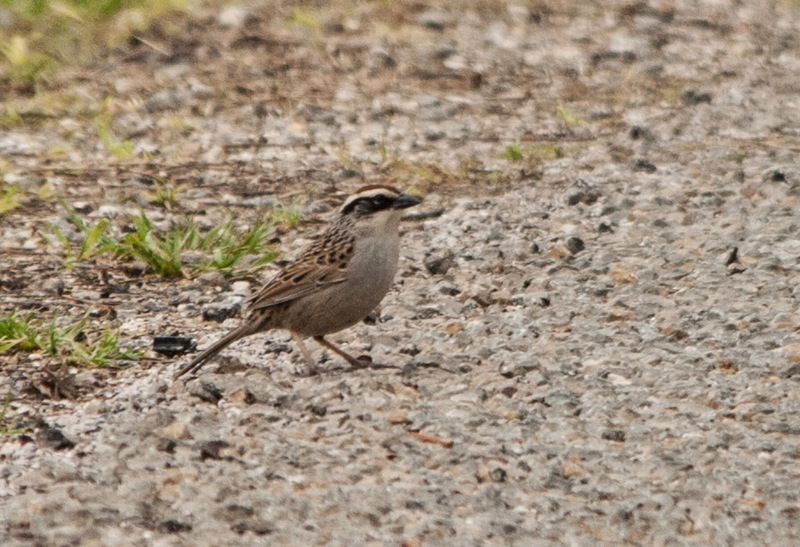 My next target, the Striped Sparrow, didn't take quite as long. After about 20 minutes the bird popped out of the brush. It was also great to see many Harris's Sparrows that were visiting the same seed pile as the Striped Sparrow. My last target, the Common Crane, didn't go as well. I spent an entire day searching without even finding many Sandhill Cranes and assumed they had departed on their migration north. I later learned that was exactly what had happened. The same Common Crane was found in Nebraska while I was looking for it in Texas. After Texas, it was off to New Mexico for a couple days of birding before arriving in Arizona to start my field work. A Great IYBC Trip to Goose Pond!